Each and everyone has their own natural ability to do something, called Aptitude. This can be physical ability or mental ability. This ability is something unrelated practice or learned or developed knowledge, acquired skills or attitude. Aptitude is expressed in interest and is reflected in current performance which is expected to improve over time with training. 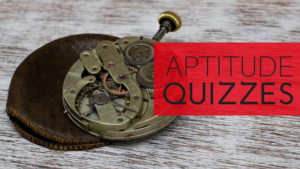 Aptitude Quiz is all about what you’re naturally good at. Some people are musically inclined, others are athletic, and others still are great with numbers and awful with spelling. 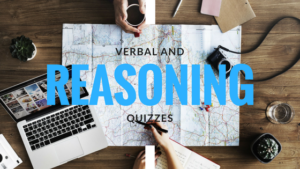 Most aptitude quizzes or tests deal with reasoning abstract reasoning, numerical reasoning, verbal reasoning, mechanical reasoning, and spatial reasoning. 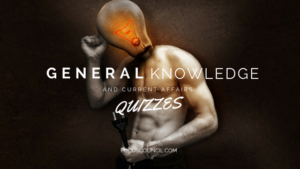 Are you ready to find out where your strongest talents and abilities lie? Are you willing to answer questions? 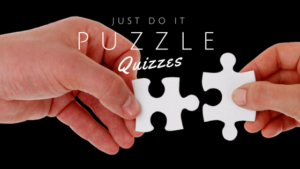 Discover your hidden talents and take the quiz.